It is a well known fact that the cross sectional area of a vessel should be utilised as much as possible to give a good silo discharge from its outlet, especially on certain products such as large granular powders and pellets. Poor material flow from silos is usually caused due to wrong size cone outlet or an incorrect cone angle. 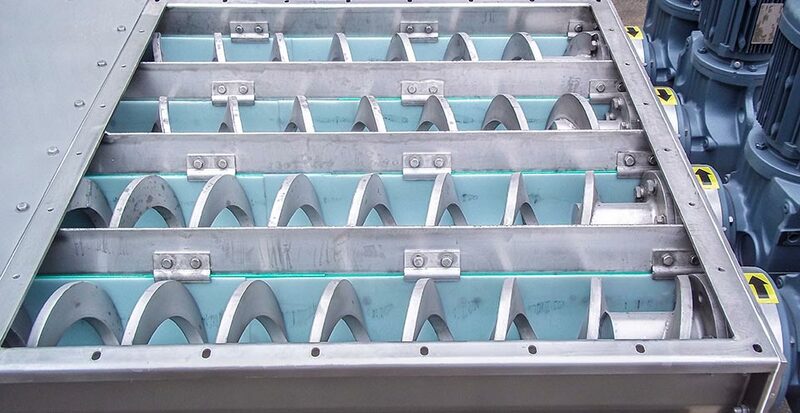 A multi screw discharger allows us to maximise the cross sectional area of the vessel and, ideally with the use of a steeper cone angle, can improve the efficient flow of material from the vessel. Our large range of multi screw bin dischargers can provide a solution to your silo discharge issues. 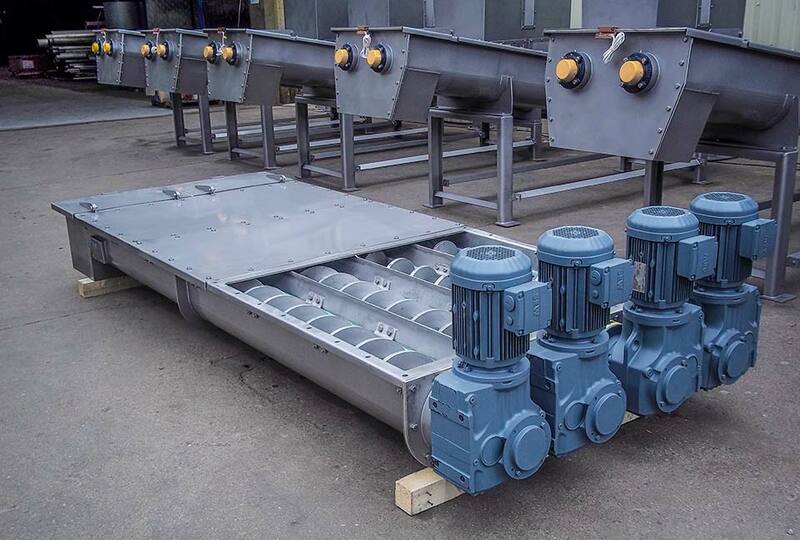 For further information regarding our Multi screw bin dischargers please contact one of our sales engineers who will be happy to discuss your requirements further.